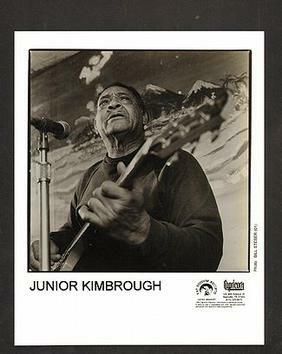 Blues guitarist Junior Kimbrough (July 28, 1930 – January 17, 1998), also known as David Kimbrough, was an American bluesman from Hudsonville, Mississippi. Influenced by Lightnin’ Hopkins, Kimbrough began playing guitar in his youth. In 1992, Robert Palmer produced Kimbrough’s debut album, All Night Long, for Fat Possum Records. It was recorded in a local church with Kimbrough’s son Kent “Kenny Malone” Kimbrough on drums and R. L. Burnside’s son Garry Burnside on bass guitar. His second album for Fat Possum, Sad Days and Lonely Nights was released in 1994. In 1998, the last album this blues guitarist recorded, Most Things Haven’t Worked Out, appeared on Fat Possum.